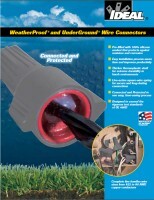 IDEAL UnderGround™ Wire Connectors are specifically designed to secure and protect wire connections in a wide variety of wet location/direct burial applications. 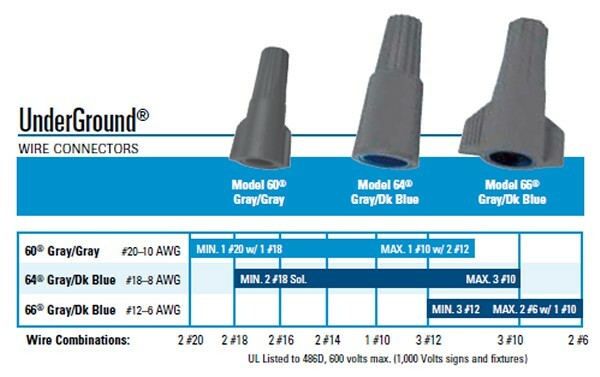 UnderGround™ connectors are manufactured with an extra-thick, thermoplastic shell for extreme durability and reliable connections. 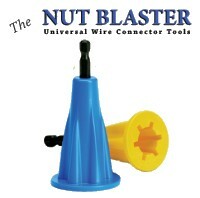 These connectors are made tough and have been designed to exceed the rigorous test standards of UL 486D. The easy application process delivers quick, safe and long-lasting connections in harsh wet location and direct burial applications. Quick and easy application saves time and energy, eliminating the need for heat shrink, resin-packs, and multi-step corrosion kits. 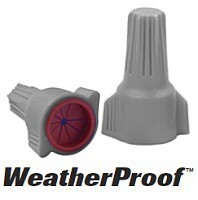 IDEAL WeatherProof® Wire Connectors are suited for interior and exterior electrical connections exposed to rain or damp conditions. 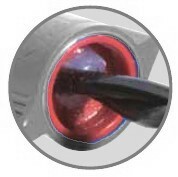 IDEAL WeatherProof™ Wire Connectors are designed to excel in above grade, interior/exterior connections exposed to damp/wet and corrosive environments. In many cases, traditional twist-on wire connectors are not suitable for these applications and require additional materials like heat shrink, resin packs, and tape to ensure a safe connection.